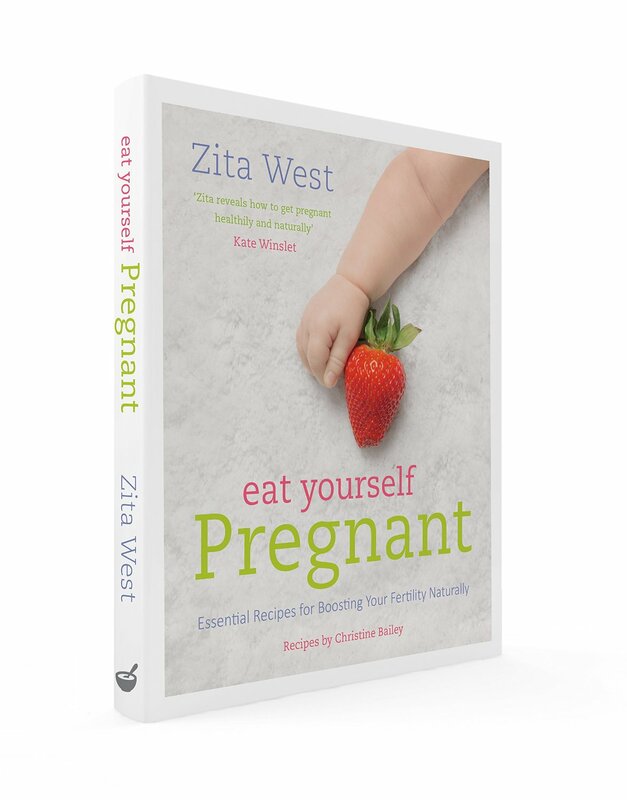 The UK’s most trusted expert on fertility, Zita West says that she has always been fascinated by the role nutrition takes in every couple’s ability to have a healthy, happy baby. Her new book, Eat Yourself Pregnant, is due out in this month! Good, wholesome food forms the bedrock of getting your body baby-ready, and of making healthy eggs and sperm. First things first – the quality of your food is paramount. Nutrient-dense foods both nourish and satisfy you. Keep processed foods to a minimum. Base your diet around fresh vegetables, sea vegetables, nuts and seeds, fermented foods such as yogurt and kefir, beans, pulses and, if you eat animal products, include free-range eggs, wild-caught fish, game and naturally reared animals. Ideally switch to organic. Slow-releasing carbohydrates avoid insulin spikes. Pile your plate full of vegetables; limit fruit to two portions a day; and consume between one and two portions of whole grains daily. Avoid white refined carbohydrates, processed foods and sugars. A more alkaline diet is easier on your digestive system and will help your body maintain an acid–alkaline balance. 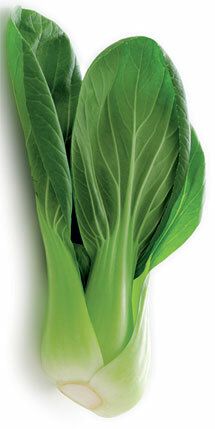 Include plenty of alkalizing vegetables such as leafy green vegetables with each meal. Healthy fats and cholesterol are vital for your body, enabling the absorption of key nutrients and the production of hormones. Egg and sperm health depend upon an adequate supply of omega-3 fatty acids from oily fish and seeds. Include healthy saturated fats such as coconut oil, wild-caught fish, grass-fed meats and organic dairy and eggs, as well as monounsaturated fats such as those in extra virgin olive oil, nuts and avocados. Choose full-fat dairy foods rather than skimmed or semi-skimmed. Probiotics or healthy bacteria are essential for gut health and immunity. Eat fermented or cultured foods daily – including natural yogurt, kefir, sauerkraut, kimchi, miso, and pickled vegetables. How do you fill your plate? Aim to fill half of your plate with low-carb colourful vegetables; one-quarter with good-quality protein-rich foods (fish, seafood, meat, eggs, nuts, beans, lentils); and the remaining quarter with some starchy vegetables, such as potato or sweet potato, or whole grains (for example, rice or quinoa). Water is essential for digestion, nutrient absorption and transportation, cell health and the removal of toxins via the liver and kidneys. Keeping hydrated will promote energy levels and clear thinking. Aim for eight glasses of water or water-based liquid daily. Herbal teas, green juices and smoothies will contribute to this target; caffeine and carbonated drinks will not. Salmon is an excellent source of omega-3 fatty acids, which are important for circulation and male and female fertility. 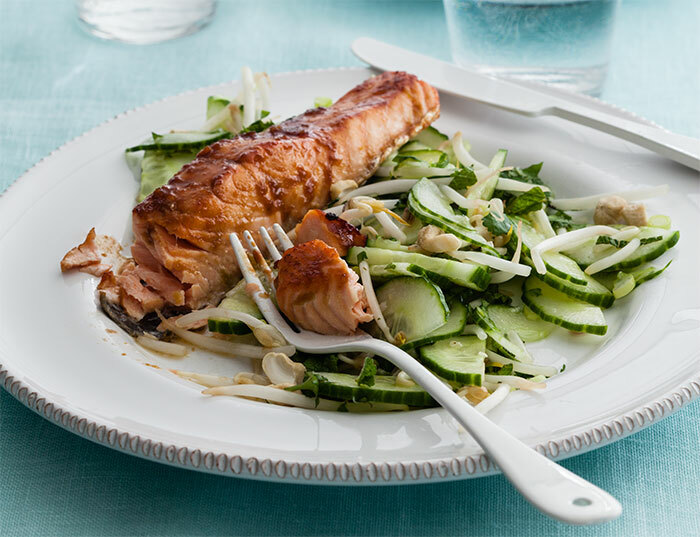 In this dish, salmon fillets are marinated in a tangy Asian-style dressing and accompanied by a light and refreshing cucumber salad – perfect for summer days. 1. Put the chilli, garlic, soy sauce, vinegar and coconut sugar in a food processor and process to combine. Put the salmon fillets in a shallow, non-reactive dish. Pour over the marinade, cover and leave to marinate in the fridge for 30 minutes. 2. Make the dressing for the salad by mixing together the lime juice, xylitol and mirin in a small bowl until the xylitol has dissolved. Put the bean sprouts, cucumber, spring onions, cashews, mint and coriander in another bowl, pour over the dressing and toss until well combined. 3. Preheat the grill to high and line a baking tray with foil. Remove the salmon from the marinade, reserving the marinade, and place on the prepared baking tray. Grill for about 7 minutes, or until the fish is golden and just cooked through. 4. Meanwhile, put the reserved marinade in a small saucepan and simmer to reduce slightly to form a thicker, sticky glaze. Pour over the cooked salmon and serve with the cucumber lime salad. 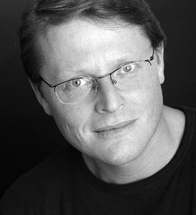 Marcus Bean, author of the upcoming book Chicken, is on stage this weekend at the Shrewsbury Food Festival. He’ll be doing demonstrations on the main stage both days, and they’re also going to have a pop up cookery school and a cookery school stand there. “Always one of my favourite ingredients, chicken is succulent, flavoursome, versatile, inexpensive and healthy. 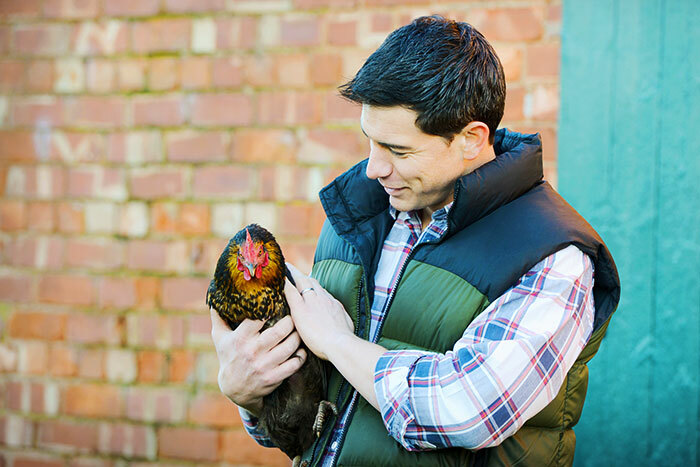 It’s very popular in our house as my wife, Jenny, hasn’t eaten red meat since she was a child, so I’ve cooked more chicken than most, but we never get fed up with it – why should we? Few foods blend as well with such a range of different ingredients and flavourings, so there’s always something different to try. In fact, I can’t think of anything that couldn’t be successfully paired with chicken to make a delicious meal – from delicate to robust foods, from subtle, creamy sauces to hot fiery curries, fruit or vegetables, fish or cheese, herbs, spices or nuts, rices, pulses or pasta. Plus, as there are mouth-watering chicken dishes in every cuisine around the world – from curries to oriental stir-fries or chicken and chips – the sky’s the limit. For a modern and health-conscious diet, too, chicken ticks all the boxes as it is both low in fat and a great source of protein. A 100g/3oz serving of baked chicken breast contains 4g of fat and 31g of protein, compared with 10g of fat and 27g of protein for the same portion of grilled lean steak. This makes it a sensible and nutritious part of a healthy balanced diet, and great for those who are trying to slim down a little, too – cooked in the right way, of course. Chicken is also fantastically versatile. It can be cooked by almost any cooking method – slowly for a succulent casserole, poached to make a healthy pie, or quickly with a crisp, pan-fried skin. The various cuts lend themselves to every different style of cooking, giving us so many choices that we can keep the interest going in our meals – even if we were to eat chicken every day. As well as its versatility, in these budget-conscious times, chicken scores highly as an inexpensive meat. And the fact that nothing is wasted – even the carcase makes wonderful soup or stock – is an added bonus. It’s hard to think of a better set of credentials for any ingredient to be chosen as the star of a book and I hope you’ll enjoy seeing it in the spotlight. How to reduce your sugar intake – but still eat cake! Guidelines from Public Health England, the government agency advising on tackling obesity, yesterday stated that women should have no more than 5–6 teaspoons of sugar a day and men 7–8 teaspoons. Bearing in mind that a can of fizzy drink has approximately 7–9 teaspoons of sugar in it, this means cutting our consumption of sugar – often dramatically. One of the best ways to cut down on sugar intake is by avoiding processed foods – including savoury items, too. Shockingly, 80% of processed food in the USA contains added sugar. Currently senior figures in the medical establishment are putting pressure on the Government to force food manufacturers to cut sugar levels and to ensure products are clearly labelled. But this will inevitably take time. By avoiding ready-meals, packaged desserts and all the other processed foods – and by making your own recipes – you are in control of the ingredients you use. That includes avoiding unwanted sugar, additives, colourings and flavourings. Try this cake instead of a pre-packaged one. It’s simple to make and has only 4 tablespoons of xylitol (a natural sugar alternative that doesn’t raise blood sugar levels in the same way as ordinary sugar, and doesn’t have the health implications associated with fructose) and the juice of 1 orange. 1. Preheat the oven to 150°C/300°F/Gas 2. Lightly grease and line the base of a 20cm/8in springform cake tin. 2. Melt the butter and chocolate in a heatproof bowl placed over a saucepan of gently simmering water, making sure the bottom of the bowl does not touch the water. Stir occasionally until the chocolate and butter have melted, then remove from the heat. 3. Whisk the egg yolks with the xylitol in a mixing bowl until pale, then stir in the chocolate mixture followed by the orange juice and zest. Sift the flour and cocoa powder into the chocolate mixture and fold in using a wooden spoon. 4. Whisk the egg whites in a large, grease-free mixing bowl until they form stiff peaks. Using a metal spoon, stir a spoonful of the whites into the chocolate mixture to slacken it, then fold in the remaining egg whites until they are well combined. 5. Spoon the mixture into the prepared cake tin, then bake in the preheated oven for 20–25 minutes until risen. Remove from the oven and leave in the tin for 10 minutes, then turn out to cool on a wire rack. Can be stored in an airtight container for up to 5 days. 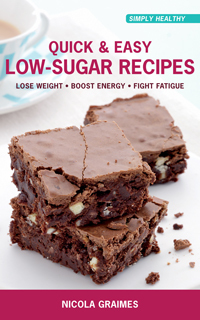 Cut down on your sugar with Quick & Easy Low-Sugar Recipes by Nicola Graimes. 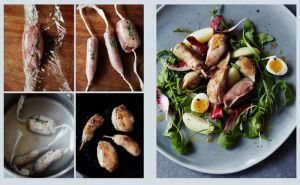 Delicious, simple-to-make recipes using naturally sweet foods and alternative flavourings so you can make irresistible healthy meals and snacks without having to resort to artificial sweeteners! Find out more, and get free postage on all UK orders! 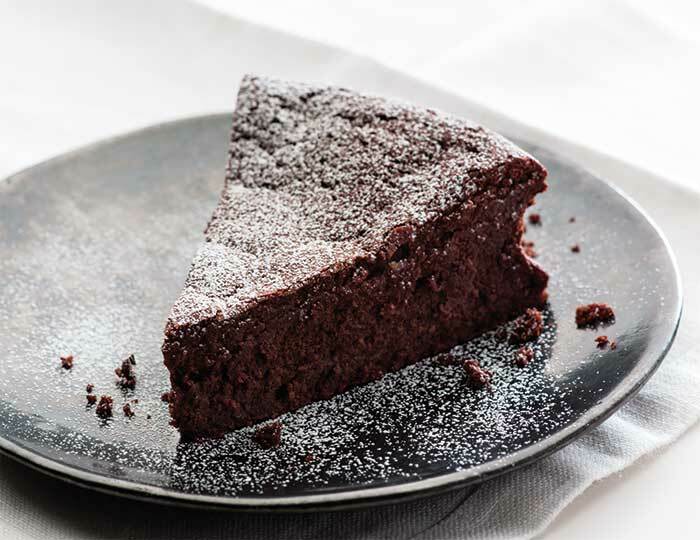 https://nourishbooks.com/wp-content/uploads/2014/06/Low-Sugar-Chocolate-Orange-Cake.jpg 300 340 Victoria Lagodinsky https://nourishbooks.com/wp-content/uploads/2018/04/NourishLogo340x156-300x138-300x138.png Victoria Lagodinsky2014-06-27 17:00:032014-07-04 13:58:23How to reduce your sugar intake – but still eat cake! This makes a light, summery meal or starter. After cooking the broad beans, it’s best to remove their grey outer shell, which can be tough, to reveal the tender green bean inside. The beans are then stirred into a lemony goats’ cheese mousse with some diced kohlrabi. I’d shied away from the alien-looking kohlrabi until fairly recently, but I ’m pleasantly surprised at how good it tastes – like a cross between a radish and a turnip – with a fresh, crisp texture. 1. Bring a pan of salted water to the boil over a high heat. Add the broad beans and boil gently for 2–3 minutes until tender, then drain and refresh under cold running water. When cool, peel off the grey outer skins and put the beans in a bowl with the kohlrabi and half of the mint. 2. While the beans are cooking, make the goats’ cheese mousse. Beat together the goats’ cheese, lemon zest, milk and olive oil, then season with salt and pepper. Fold into the broad bean mixture. 3. Toast the bread and rub one side of each slice with the cut side of the garlic. 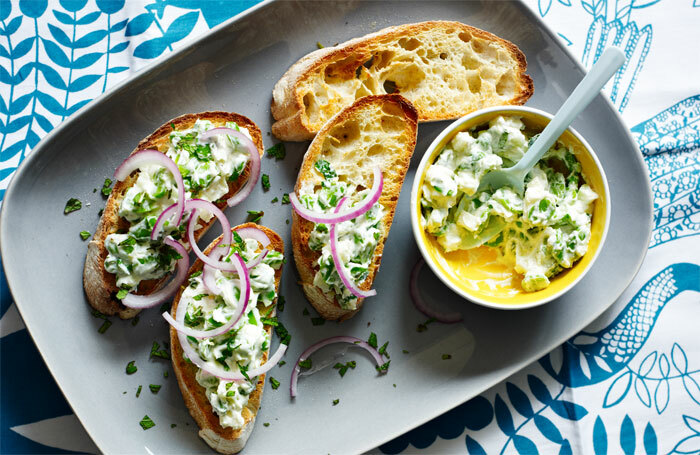 Serve the toast topped with the broad bean mixture and scatter the onion and remaining mint over. 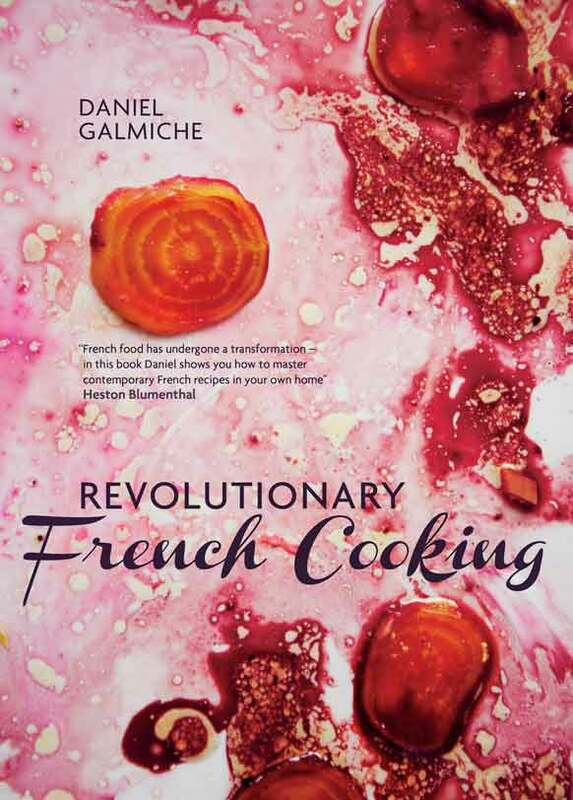 Daniel Galmiche, Michelin-starred chef and author of Revolutionary French Cooking shows you how to make this summer vegetable ragout, served with a stylish vanilla beurre blanc – a colourful, light and fresh summer dish that’s perfect for family gatherings. The vegetables only need a minimal amount of cooking before they are coated in a light butter sauce, scented with fresh vanilla seeds and thyme. One small point – don’t over do the vanilla or you will disturb the delicately balanced flavour of the dish. It’s delicious served on its own or with roasted meats. 1. Pour the stock for the vanilla beurre blanc into a small sauté pan and cook over a medium-high heat for 15 minutes until reduced to 150ml/5fl oz/scant ²∕³ cup. Leave to one side. 2. Meanwhile, bring a saucepan of salted water to the boil over a high heat and cook the vegetables, one type at a time, for 2–5 minutes each until just tender. Lift out with a slotted spoon, refresh in iced water, then drain once more, tip carefully into a bowl and leave to one side. Put a lid on the pan of water and reserve for reheating the vegetables just before serving. 3. To make the beurre blanc, melt 20g/¾oz of the butter in a small pan over a medium heat and fry the shallot for 2 minutes until just softened. Stir in the lime juice, then add the reduced stock and the vanilla seeds. Bring to a simmer and cook for 5–8 minutes until there is about 110ml/4fl oz/scant ½ cup of buttery stock. 4. Turn the heat down to very low and gradually whisk in the remaining softened butter, a few cubes at a time. Keep whisking until the butter has been incorporated before adding the next batch. This will stop the sauce splitting by keeping it at a constant temperature. As you are whisking, you should see a foam of tiny bubbles form on top of the mixture and when all the butter has been added, the sauce should be pale in colour and light in consistency, similar to a very thin custard, and should just coat the back of the spoon. This will take 10–12 minutes. At this point, season with salt and pepper to taste and add the lime zest. Cover with a lid and leave to one side in a warm place. 5. Return the saucepan of water to the boil over a high heat and add the vegetables. Cook for a minute or so until heated through, then drain on kitchen paper. 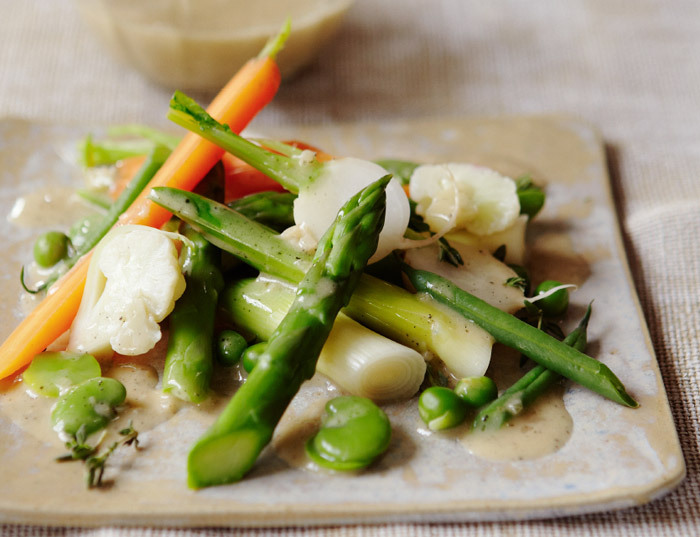 Serve the vegetables with the vanilla beurre blanc spooned over the top and sprinkled with the thyme. 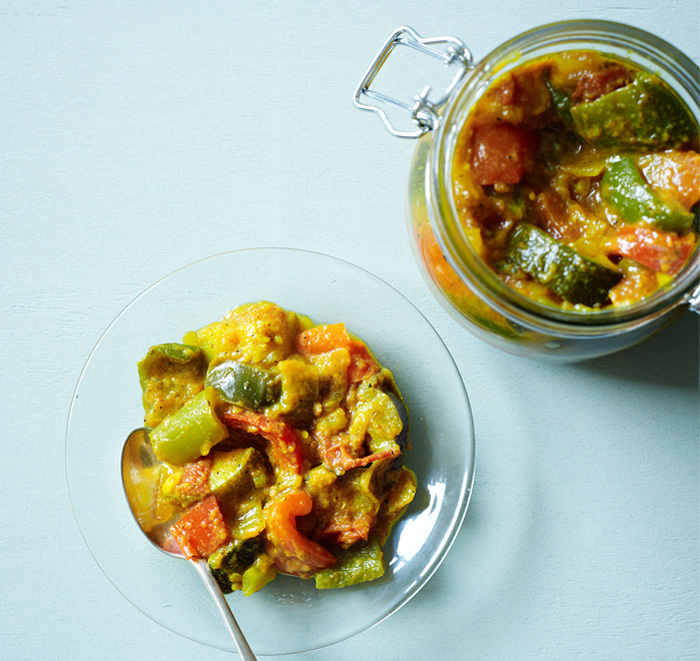 Mediterranean vegetables make this an unusual alternative to the usual piccalilli and would make a lovely summer variation, particularly if you have a good supply of courgettes, peppers and tomatoes. You can serve it hot or cold. 1. Sterilize enough wide-necked jars with non-metallic, vinegar-proof lids, or preserving jars, so that they are ready to use. 2. Heat the oil in a preserving pan, add the aubergines, courgettes, peppers, onions, tomatoes and garlic and fry for about 15 minutes, stirring frequently, until the vegetables are tender. The vegetables should be soft but not mushy. 3. Meanwhile, put the flour, cinnamon, nutmeg, turmeric, oregano, black pepper and salt in a bowl. Add 2 tablespoons of the vinegar and blend together until smooth. 4. Pour the remaining vinegar into the pan. Add the sugar and heat over a low heat, stirring until the sugar has dissolved. 5. Stir the spice mixture into the pan. Slowly bring to the boil, stirring all the time and then cook for 2 minutes until thickened. Season with salt if necessary. 6. Spoon the piccalilli into the warmed, sterilized jars. Seal immediately, label and store in a cool, dry, dark place. 7. Leave to mature for at least 1 month before using. Refrigerate after opening. Taken from our brand new app, JUICES, available in the app store now, these are five of the best juices, smoothies and quenchers for summer – guaranteed to boost your energy and keep you feeling great in the sun. A summer delight – each drop to be savoured. 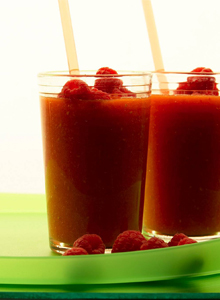 Play with the different berry combinations to change the flavor and the sweetness. Another exquisite summer luxury – choose your favourite combination. 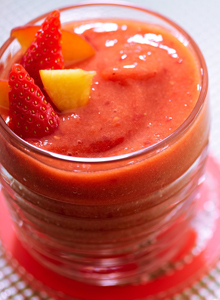 This one is a summer favourite – best to use fresh organic strawberries. Just as those fantastic Indian mangoes are at the tail end of their season, the raspberries come in – catch this divine combination if you can, otherwise use any good mango. 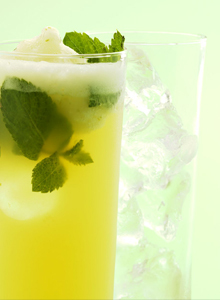 A combination of refreshing, tangy ingredients to cool you down on a summer’s day. Pour the boiling water over the mint leaves and grated ginger and let them steep for five minutes. Leave to cool, then top up with freshly squeezed orange juice, lime sorbet and ice. Natalie Savona is the content creator for Juices, a fully-qualified nutritionist she has always been in demand as a writer, and presenter in television and radio. Natalie presented two series of Freaky Eaters for BBC3 and The Kitchen Detective on Discovery Health. She also made regular expert tv appearances, including This Morning and BBC Breakfast, as well as regularly contributing to a broad range of publications, including BBC Good Food, The Sunday Times, Cosmo and The Daily Mail. 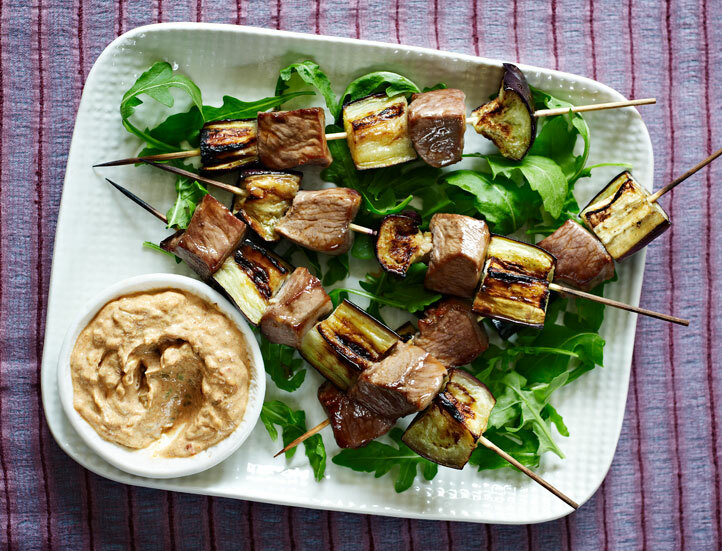 These super-tender and succulent low-carb kebabs are served hot with the cold, fresh dip. The flavour of the dip is improved if you can prepare it the day before and chill it in the fridge overnight to allow the flavours to intensify. 1. Soak four wooden skewers in water. To make the dip, put the spring onion, red chilli and garlic in a heavy-based, non-stick saucepan and cook for a few minutes over a low heat until softened, adding a splash of water, if necessary, if the ingredients begin to stick. Add the ginger, chilli powder, stevia powder, soy sauce and lime juice and continue to cook for about 10 minutes, stirring regularly, until very soft and well blended. Remove from the heat and leave to cool slightly. Stir in the cream cheese and mix well. 2. Preheat the grill to high. Toss the lamb and aubergine in the oil until well coated, then season with pepper. Thread alternate pieces of lamb and aubergine on to the skewers and grill for about 10 minutes until cooked through, making sure your turn them regularly. 3. Serve the kebabs on a bed of rocket leaves with the garlic dip served separately. Gluten-free Tomato Tart Recipe – Perfect Picnic Food! Trying to buy a gluten-and dairy-free lunch can often be a nightmare, and, even if you do find something, it’s never as good as your own homemade food. 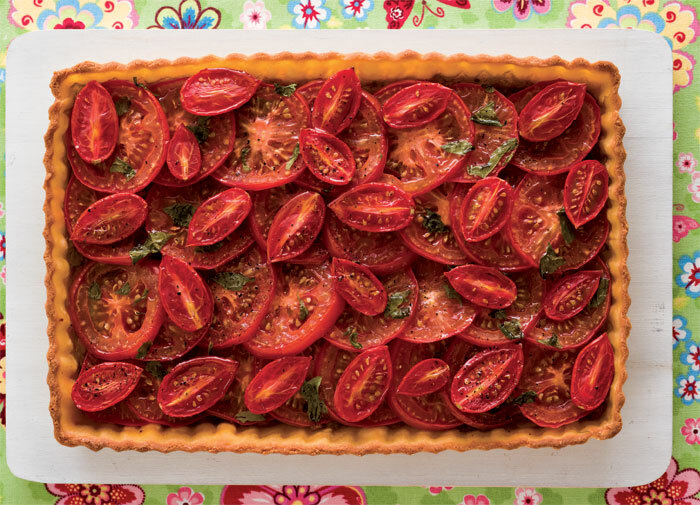 This Gluten-free Tomato Tart is perfect for a picnic in the sunshine. I love baking—when I open the door of the oven and take out the finished result, it feels like I’ve created something wonderful. This tart is brimming with the beautiful tastes and fresh aromas of summertime. 1. Put the potato in a saucepan and cover with cold water. Bring to a boil over high heat, then turn the heat down to medium and simmer, covered, 15 minutes, or until tender. Drain, then mash the potato until smooth. 2. Sift the flours, salt, and xanthan gum into the bowl of a food processor. Add the dairy-free margarine and blend until the mixture resembles fine bread crumbs, then add the mashed potato and blend for a few seconds until mixed in. Add the egg and blend 20 to 30 seconds until the mixture comes away from the sides of the bowl and forms a sticky dough. There should be a little extra moisture at the bottom of the bowl. If it is too dry, gradually blend in 1 to 2 tablespoons chilled water. If it is too sticky, add a little rice flour. 3. Shape the dough into a ball, wrap it in plastic wrap, and chill in the refrigerator 30 minutes. 1. Preheat the oven to 400°F and grease a loose-bottomed 12- x 8-inch tart pan with dairy-free margarine. Prick the eggplants all over with a fork, put them in a baking tray, and bake 45 minutes, or until very soft. 2. Meanwhile, liberally dust a large cutting board with rice flour and gently roll out the dough to about ¼ inch thick. Put the loose bottom of the tart pan on top of the dough and, using a sharp knife, cut around it. Shape the dough trimmings into a ball and set aside. Lift the cutting board and turn it over to drop the dough and bottom into the pan. 3. Dust the cutting board again with rice flour and gently roll out the remaining dough again. Cut it into strips wide enough to line the sides of the pan. To secure the sides of the tart, lightly brush some water along the bottom edges of the dough strips that will overlap with the bottom. Gently press the dough into the sides of the pan and along the bottom edge where it overlaps with the dough on the bottom, taking care to remove any air pockets. Neaten the edges, using a sharp knife, then prick the bottom of the dough with a fork. Line the tart case with a piece of baking parchment and fill with baking beans. Bake alongside the eggplants 15 minutes until light golden. Take the tart case out of the oven and remove the parchment and beans, then bake 2 to 3 minutes longer. 4. Remove the eggplants from the oven and turn the oven down to 350°F. Cut the eggplants in half and, using a spoon, scoop the flesh into a bowl. Mash well with a fork, then mix in the sun-dried tomato paste. Spread the eggplant and tomato mixture over the bottom of the tart shell and cover with the sliced tomatoes, followed by the cherry tomatoes. 5. Sprinkle with the basil and season with salt and pepper. Bake 20 to 25 minutes until the pastry is golden brown. Serve either hot or cold, or pop it in your picnic hamper. 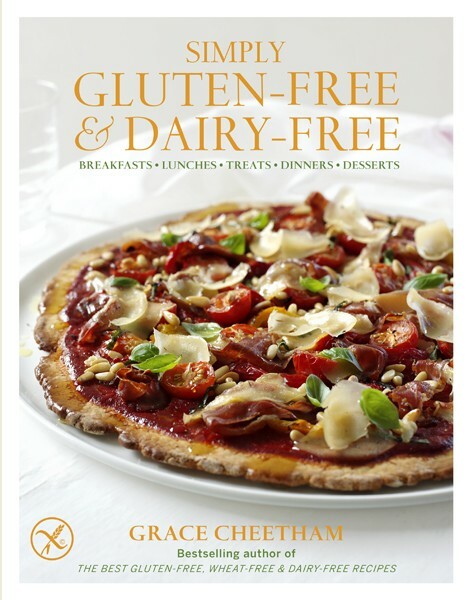 https://nourishbooks.com/wp-content/uploads/2014/06/gluten-free-tomato-tart.jpg 300 340 Victoria Lagodinsky https://nourishbooks.com/wp-content/uploads/2018/04/NourishLogo340x156-300x138-300x138.png Victoria Lagodinsky2014-06-18 00:00:572014-06-11 16:00:07Gluten-free Tomato Tart Recipe - Perfect Picnic Food! Eat Your Vegetables Day might not seem like the most exciting holiday at first, but once you taste this Mexican Fattoush, you may find yourself counting down the days until next year’s celebration! 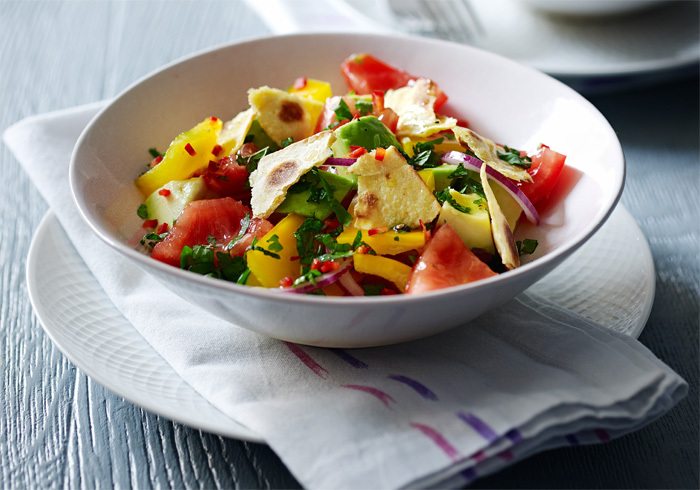 This main-meal salad takes all the elements of the classic Lebanese fattoush but gives it a Mexican twist – so there are toasted corn tortillas, chunks of avocado, tangy lime juice and lots of fresh coriander. It’s best dressed just before serving so the toasted tortillas remain crisp, and at room temperature to let the flavours sing through. 1. Lightly brush both sides of each tortilla with olive oil. Heat a large, non-stick frying pan over a medium-low heat and toast the tortillas one at a time for 3–4 minutes, turning once, until crisp on both sides. Leave to cool and crisp up further, then tear them up roughly. 2. Put the tomatoes, yellow pepper, onion and avocados in a shallow serving bowl, then scatter the herbs over the top. 3. Mix together the ingredients for the dressing and season with salt and pepper. Pour the dressing over the salad and toss gently until combined. Scatter the toasted tortillas and chilli (if using) over, toss again and serve immediately. 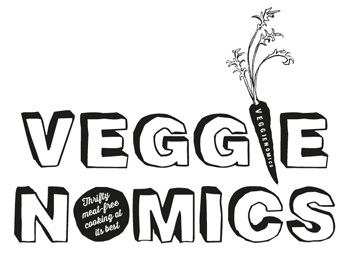 Veggienomics is the smart guide to eating well while watching the pennies – uncover a world of exciting vegetarian dishes that won’t cost the earth. 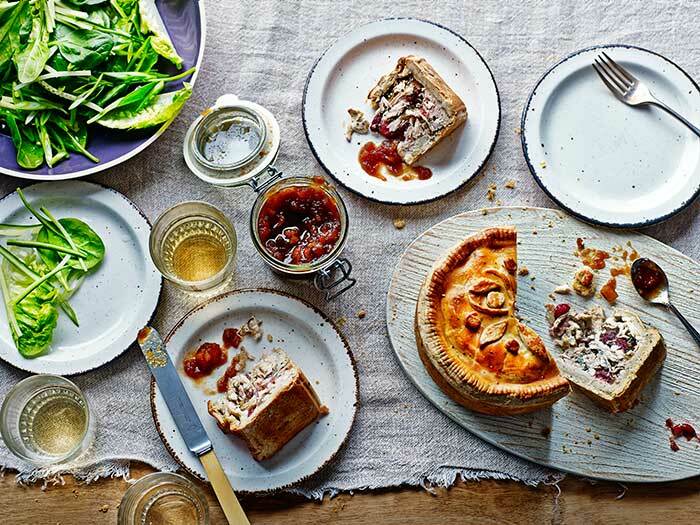 Find ways to cut down on the cost of your weekly shop without compromising on quality, or on taste. Do you need to clean up your diet? Consider this: Over the course of a normal day, the average American consumes more than 180 chemical additives as a result of eating processed food, or unwashed fruit and vegetables – that’s more than 65,000 separate doses of chemical in a year! Add to that the fact that certain cooking methods rob healthy foods of their nutrients, and could even turn them cancerous, and you have plenty of reasons to follow a clean diet. The problem is, how do you start? With additives and chemicals seemingly everywhere, a clean diet can seem quite daunting. That’s why Max Tomlinson has put together this 6 step guide from Clean Up Your Diet to show you how to have a truly healthy diet! 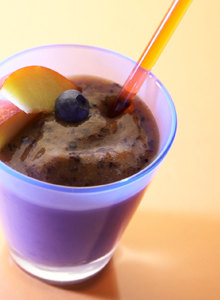 Looking for a way to get rid of the unhealthy toxins that are part of modern life? Try Max’s Weekend Detox Plan. “Low fat” and its friends. Claims such as “low fat”, “reduced sodium” and “high fibre” tend to be commercially driven with no real nutritional basis or strict legal definition. “Lite” and “light” also have no legally binding definition, and are used freely by food manufacturers who are keen to cash in on no-fat, low-sugar dieters all over the world (and there are millions of them!). A clean diet, rich with pure foods, does not need to enhance, remove or replace any of the naturally occurring substances in foods. Fibre is plentiful anyway in pure foods; bad fats, excess salt and simple sugars are scarce. In fact, the pure-fooder has no reason to diet, because his or her diet is in perfect balance, which should mean that his or her weight is in perfect balance, too. Genetically modified (GM). If you spot the word “modified” on a label, don’t buy the product. Genetically modifying food is a brand new science, and this makes me nervous: it takes decades for us to be certain of the effects of food modification on the human body. In addition, GM-containing foods are not always labelled as GM. Many animals are given GM animal feed, but their meat doesn’t have to carry a GM label. The only way to be certain to avoid GM meat and poultry is to go organic. Commercial farming methods use an array of chemicals to protect crops and promote growth in plants and animals. Some of these manmade chemicals are now thought to cause disease (including some cancers), as well as hyperactivity in children, and asthma, eczema and a host of other illnesses; others upset our hormonal balance, leading to problems such as infertility or mood swings. 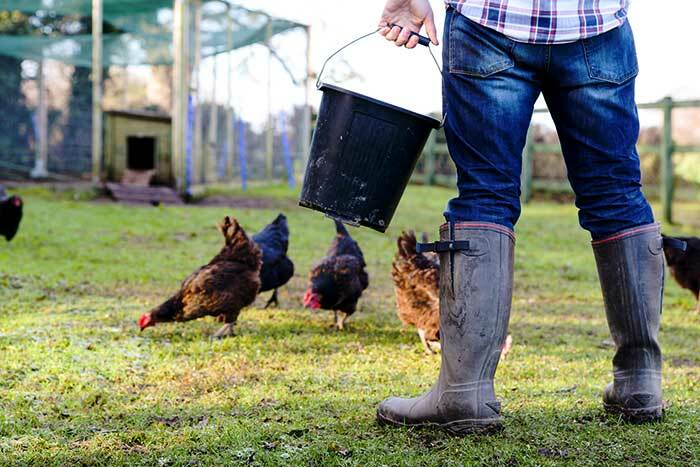 Organic farmers avoid using toxic chemical sprays on their crops, and their animals are kept in more natural, free-range conditions and are fed on natural foods. In addition organic meat does not come from animals that have been “beefed up” using chemical hormones or antibiotics. One great way to get your organic shopping – and to support local producers at the same time – is to sign up to a weekly organic fruit-and-veg box scheme and get a delivery directly from the farm. It is so easy nowadays for most of us to eat whatever we want, whenever we want it. You need soft, fresh, ripe summer berries in mid-winter? No problem – your local supermarket will have them in stock. The concept of eating what is in season disappeared with the advent of modern food supply and transport, but eating with the seasons is a fundamental naturopathic philosophy and is important because the body needs and craves certain foods depending on the time of year. Winter foods need to be rich and warming, with soups made from organic beans, ginger, herbs, garlic and root vegetables. 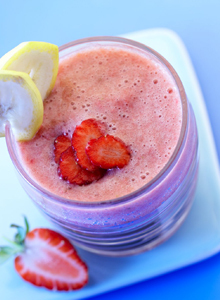 Summer foods need to be lighter, reflecting the warmth of the time of year. My summertime favourites are massive rainbow-coloured salads and light stir-fries with grilled, organic fish. On the whole, seasonal foods have travelled shorter distances to reach your table and so have suffered less nutrient loss than those that are out of season. You will also find your foods at their tastiest as well as at their most affordable. Farmers Markets Take a look in your local newspaper to find a weekly farmers’ market in your area. 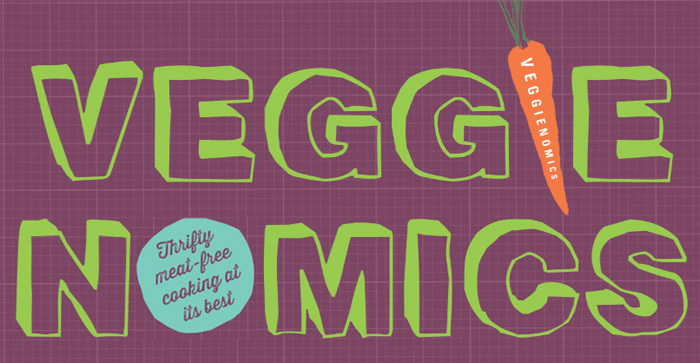 Visit it as part of your weekly shop and choose from the great array of seasonal, fresh foods on sale. Not all the produce at your local market will be organic, of course, but at least you can buy what is truly in season and can also ask the grower directly whether or not he or she overdoes the chemicals on the non-organic produce. There is no question: fresh is best. Some important vitamins (including vitamins A and C) degrade over time as a result of exposure to light, heat and oxygen. A report conducted by the American Dietetic Association recommends that we should consume orange juice as soon as possible after we buy it, because the vitamin-C content decreases more and more rapidly the closer the product gets to its expiry date. In two weeks the level of vitamin C in one carton generally fell from 65 milligrams per serving to 45 milligrams. The level fell again to about 36 milligrams after four weeks – a reduction of close to 50 per cent. So, when you have a cold or the flu, drinking commercial orange juice to pack your body with vitamin C might not be the best option. However, freshly squeezed orange juice, made from ripe, organic oranges, will supply all the vitamin C you need to fight off the bugs. Apply this attitude on freshness to all your fruit and vegetables and your nutrient intake will soar! Most commercial food-processing methods involve using heat to cook the food and to destroy any resident bacteria, thus prolonging shelf-life. This process destroys or damages some important vitamins and other nutrients that are very sensitive to heat. For example, oil can oxidize (become rancid) when exposed to heat, altering its flavour and smell, and diminishing its nutritional value. More importantly, oxidation produces free radicals, which scientists believe play a role in ageing, as well as the development of cancer and other degenerative diseases. The higher the temperature at which you cook your food, and the longer you cook it, the greater the nutrient loss. According to some sources, cooking to the point of browning or charring creates compounds that are carcinogenic (may cause cancer). Charring proteins (meat, chicken and fish) creates a potentially harmful chemical called heterocyclic aromatic amine, which has been linked with an increased risk of breast cancer among women. Cooking food can be a dangerous job! This all sounds very gloomy, but remember that all you need to do to minimize the risks is to eat more raw or lightly cooked produce, and reduce your exposure to charred vegetables and meats. Always cook meat such as chicken all the way through, but don’t overcook it. What follows is my guide to cooking pure foods in the right way. • Boiling This is my least favourite method of cooking. Boiling toughens the protein in eggs, softens the plant fibre cellulose in cereals, vegetables and fruits, and destroys nutrients. The biggest loss is of minerals into the water. The only vegetable that requires boiling is the potato – steam everything else. • Steaming Light steaming is the best way to cook vegetables and fish. Food is put into a steamer, and, as the water in the lower container boils, steam rises and cooks the food in the upper, perforated pan. Steaming is preferable to boiling as the food loses no minerals at all, and the process does less damage to the food’s fragile vitamins and enzymes. • Dry-frying This is cooking without oil in a well-heated, non-stick frying pan (skillet). Add a little water and then add your meat, fish, chicken or vegetables. After a short while, meat and poultry release their own juices, providing plenty of moisture to prevent burning; as will vegetables. Do not use metal utensils as this damages the non-stick surface in the pan and you end up eating the coating! Try not to overcook your vegetables. 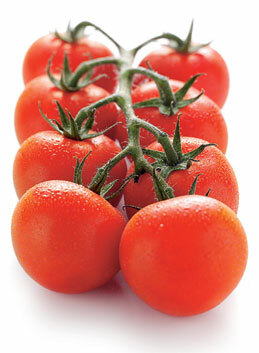 They should be crisp and colourful so that they retain their natural flavour and nutrients. • Stir-frying Stir-frying involves frying food very quickly over a very high heat in a lightly oiled pan (skillet). It is important to use a good-quality olive oil and not to let the oil burn. Burned oil contains chemicals called free radicals (yes, those again! ), which are bad for your health). • Oven Roasting The secret to healthy roast vegetables, fish, chicken and meats is not to burn or char them, as this may produce carcinogenic compounds. Bear in mind that the longer you cook food for the more nutrients are lost, so it pays to steam your food a little first, partially cooking it quickly, and then to finish it off in the oven. • Grilling (Broiling) This is a great way to prepare fish and lean meats. Pay attention to cooking times and do not burn or char the food. Allow meats to drain as they grill (broil) as this gets rid of excess saturated, unhealthy fats. • Raw I am not in favour of a totally raw diet (apologies and respect to anyone who is a raw-fooder), but most of us certainly need to increase the amount of raw food that we eat so that it constitutes about half of our daily intake. Raw, organic salads, fruit and vegetables contain an abundance of vitamins, enzymes (the catalysts for the hundreds of biochemical reactions that occur in the body) and phytochemicals (natural plant nutrients that have a powerful protective action on the body). Wheat, rye, oats, rice and barley are some of the mainstays of the modern diet. In their wholegrain, natural form, these cereals are a fantastic and very nutritious food. However, modern milling techniques, and the huge worldwide demand for refined, white-flour products, has seen a drastic decline in the nutrient levels in our breads (see below), pastas and other cereal-based foods. The sugars in refined grains release quickly into the blood stream, contributing to disorders such as diabetes and to weight-gain; they are also one of the major causes of the energy highs and lows we might experience during a day, which often lead to unhealthy snacking. Healthy brown rice, wholemeal pasta, wholemeal brown bread and wholemeal flour are all part of the clean, pure-foods diet. •Bran This is the outer, hard coating of the grain of wheat. It is a rich source of dietary fibre (which is essential for the health of the bowels) and the vitamins B1, B2, B5 and B6 (which help the body to produce energy and assist with the correct functioning of the nervous system). 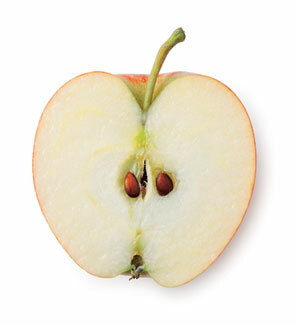 • The Germ This is a nutrient, oil-rich kernel containing vitamins E, B1, B2 and B6. (Vitamin E is an important antioxidant, which helps to protect us against cancer and ageing). • The Endosperm This is the bulk of the grain, which supplies us with protein and carbohydrate. These are essential macronutrients that encourage our body to grow, heal and repair and provide fuel for energy, respectively. Our ancestors ate the “whole” grain, ground up to make nutrient-rich wholemeal breads and other wholegrain products. While modern, refined bread does supply carbohydrate and protein (macronutrients), the refining process removes the outer bran layer and the inner germ, taking with it many of the micronutrients– the fibre, half of the B5, 70 per cent of the B2, most of the B6 and most of the B1. The clean diet should be healthy for the environment as well as for your body. Over-fishing is now seen by marine scientists as the single greatest threat to marine wildlife and our oceans. Many fish stocks are in a state of serious decline, with some common stocks on the verge of collapse. The Marine Conservation Society UK has put together a list of the fish from all over the world that appear to be in immediate danger. They include Atlantic cod and Atlantic salmon, as well as snapper, swordfish and tuna (unless it’s skipjack tuna, and caught using a pole and line rather than nets). Try to buy fish that is caught at sustainable levels, such as Pacific, or organically farmed, salmon; flounder; Dover and lemon sole; and Pacific cod. Keralan Seafood Curry – perfect for Father’s Day! Celebrate the best man you know (Dad, of course!) 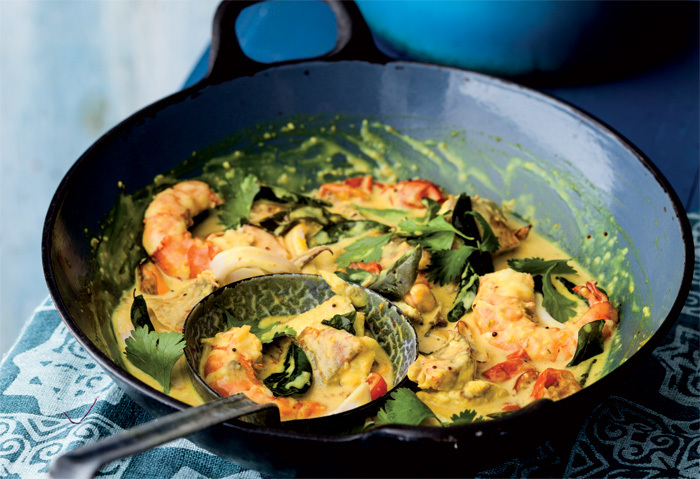 by surprising him with this quick and delicious seafood curry! Total time: Just 25 minutes! COOK THE RICE in boiling water for 10–12 minutes until soft, or as directed on the packet. Drain and return to the pan. Cover the pan with a clean tea towel and then the lid. Leave to one side to allow the rice to fluff up. MEANWHILE, PEEL THE GINGER AND GARLIC, and cut the top off the chilli, then put these ingredients into a mini food processor with the ground coriander, turmeric and a good pinch of salt. Blend into a smooth paste, adding a little water if necessary, and leave to one side. CUT THE CHERRY TOMATOES in half and leave to one side. Heat the oil in a large saucepan over a medium heat and add the mustard seeds and curry leaves. Let them crackle for a few seconds, then tip in the spice paste. Stir-fry for 30 seconds, or until fragrant, then pour in the coconut milk. Squeeze in the juice from the lime and add a pinch of salt. Mix everything together really well and bring to the boil. CHOP THE FISH into large, bite-sized pieces and add to the boiling sauce. Put the seafood and cherry tomatoes into the sauce and mix gently. Bring back to the boil, cover and reduce the heat to medium-low. Cook for 6–8 minutes, stirring occasionally, until all the seafood is cooked through and tender. Scatter the coriander over the cooked curry and serve with the rice. 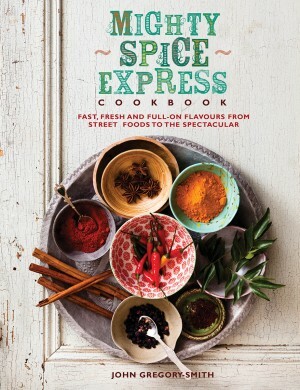 https://nourishbooks.com/wp-content/uploads/2014/06/kerelan-fish-curry-perfect-for-fathers-day.jpg 300 340 Victoria Lagodinsky https://nourishbooks.com/wp-content/uploads/2018/04/NourishLogo340x156-300x138-300x138.png Victoria Lagodinsky2014-06-15 00:00:182014-06-13 09:58:48Keralan Seafood Curry - perfect for Father's Day!